Here's a cute tutorial to make bunny boxes for Easter chocolates. 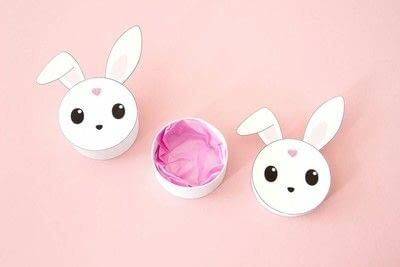 Start by printing the bunny on your sheet of paper. 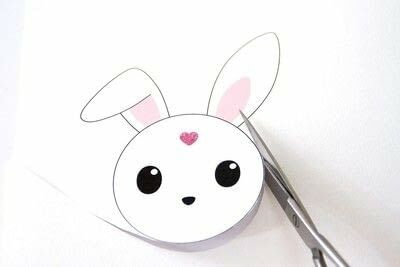 My box's diameter was approximately 3,15 inches, but you can resize the bunny according to the boxes you have. Then, cut out the bunny carefully. 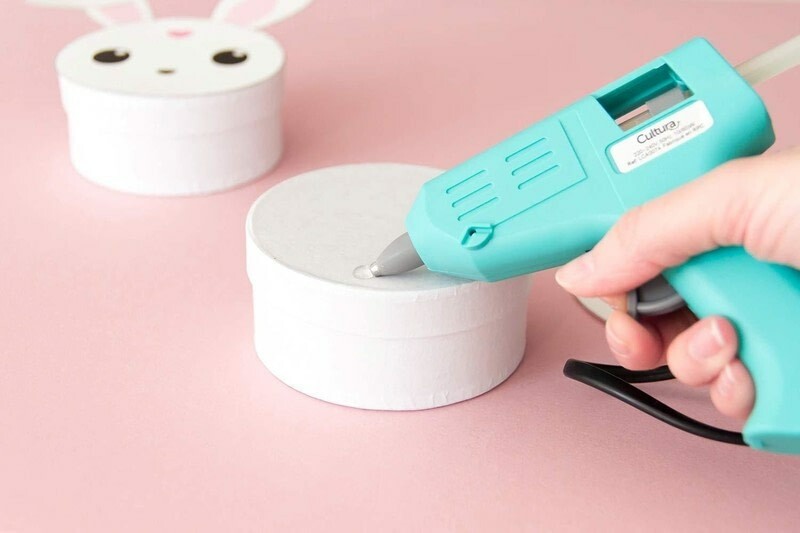 Use a hot glue gun to glue the bunny on the box. If you want to put Easter chocolates in it, you can put silk paper in the box. This will protect the box and the chocolates. Use the silk paper colors you want. 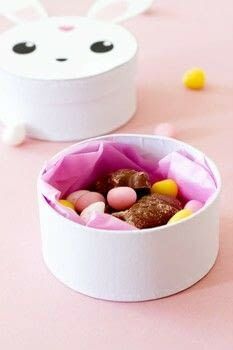 Put the chocolates, and it's all good !